No major trips this year, but I do want to take a week and get to the 4 states in the lower 48 that I haven't been to yet (MN, WI, ND, SD). We'll see if it actually happens, work commitments are going to make it tough. On a side note, if anyone is coming through central Oklahoma and needs a place to stay, give me a holler. I'll need a little lead time, and we're gone a lot, but if I'm in town and free I'd be happy to host 1-4 people. We have a garage apartment and space in the main house too. Pool and hot tub also. I have a listing on tentspace so check it out if traveling thru northern Minnesota. Relax and have a homebrew. Thanks for the generous offer, RichDesmond! I'm nowhere near Oklahoma, but dang, the offer of a place to stay always gets my attention. I'll be sure and contact you (with lead time) if I will ever be in the area. The first of April I leave for a week long motorcycle tour of Southern Spain (Andalusia) with the Mrs. We are going with Edelweiss tours and will be riding a MultiStrada 950. This is my first time one one of these organized tours; something I have been dreaming of. We will be riding about 150 miles a day, which seems short to me but not to my wife. I will report back and let you all know how it goes. 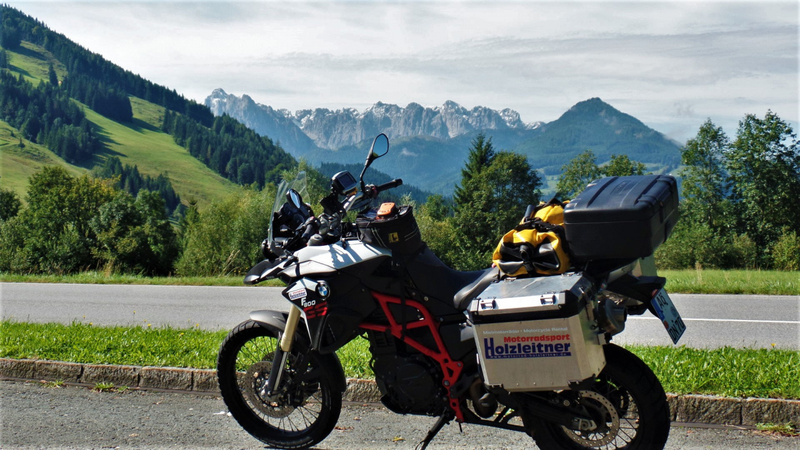 I did a Euro Moto Tour in the summer of 2017. Two week tour and then a week on my own, Solo. 200 mile days will wear you out. Completely different type of riding over there vs. here in the US. 150 to 200 miles will take about 8 to 10 hours a day with proper lunch / coffee stops. I have never heard of the "vintage CB1100F Spring Ride in the NY Adirondacks in early June" What are the details, as this is in my backyard. It's a bunch of 1980's CB750F, CB900F and CB1100F owners and we get together twice a year since 2004. We started with 5 guys on rat bikes and now we have anywhere from 18 to 30 owners show up. Bikes are now looking pretty pristine because of it. Of course we all met through a motorcycle Forum such as Stromtrooper (in our case its CB1100F.net). I was also taking the VStrom to Dirt Daze again this year but they have moved it to Aug in Vermont.